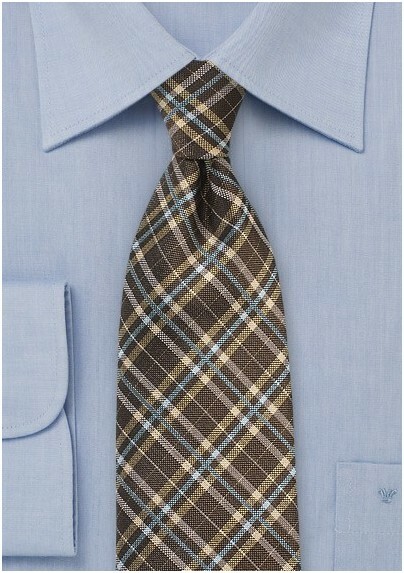 Warm up your wardrobe picks with this autumn tartan plaid tie in brown, and gold. Whether you're picnicking in Central Park, or want an item to diversify your look, this tie has what you're looking for. Handmade by blackbird from 100% silk, this hip item will add dimension, and variety to your closet. 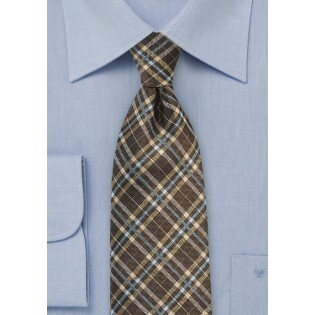 Wear it with a light blue button down, and black slacks for a comprehensive look that will impress with it's simplicity.